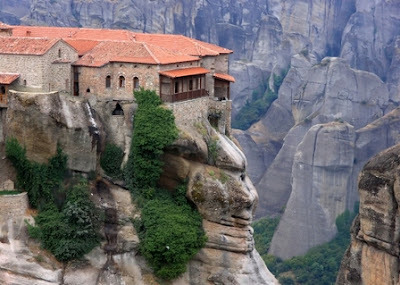 This amazing picture is of the Meteora Monastery in Greece. It inspired me because my main character visits a place similar to it and has to come to terms with his limited views of the world around him. A lot changes for him in this chapter which made it both challenging and fun to write. I just passed 63,000 words on this book! My reading muse this week is Ondine by Ebony McKenna. It’s a fun, quirky story about a girl, a boy, and a curse. It reminds me a bit of The Princess Bride and Ella Enchanted. 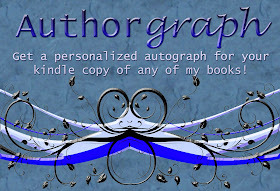 It's the perfect light hearted book to follow the heavy one I just read~which I also loved. The song for this week's chapter is Infinite Dreams by Iron Maiden. How are you guys doing on your work in progress? Or are you reading anything really good? I'm going to need a great book suggestion once I'm done with Ondine. And, are all you young adult and middle grade writers out there ready for WriteOnCon? Ooo, I saw that book in the library once and was super curious. I'm glad to hear it's good! I will have to check it out next time! I just finished reading Shannon Hale's PRINCESS ACADEMY and Brian Selznick's THE INVENTION OF HUGO CABRET. Both are really enjoyable, quick reads. It's a lot of fun! Thanks for the tips on what to read. I'll be bookless after this one! I'm reading Pride and Prejudice, and the work on my WIP has been coming along quite well thanks to the inspiration I found at RWA. Great pic, BTW! Love that picture! Right now I'm reading a fun book recommended by one of my friends, Soulless by Gail Carriger. 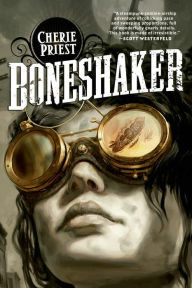 It's sort of Jane Austen meets Steampunk with vampires and werewolves thrown into the mix. Heather, this is a great picture! You've covered all senses... and definitely keeping us inspired! Great classic Lindsey! Always a good read. I'm so glad to hear that your WIP is coming along well! A good conference has that energizing affect. Gotta love it! That sounds like an interesting book Alissa, I'll have to check it out! I do love Steampunk, and of course vampires and werewolves!